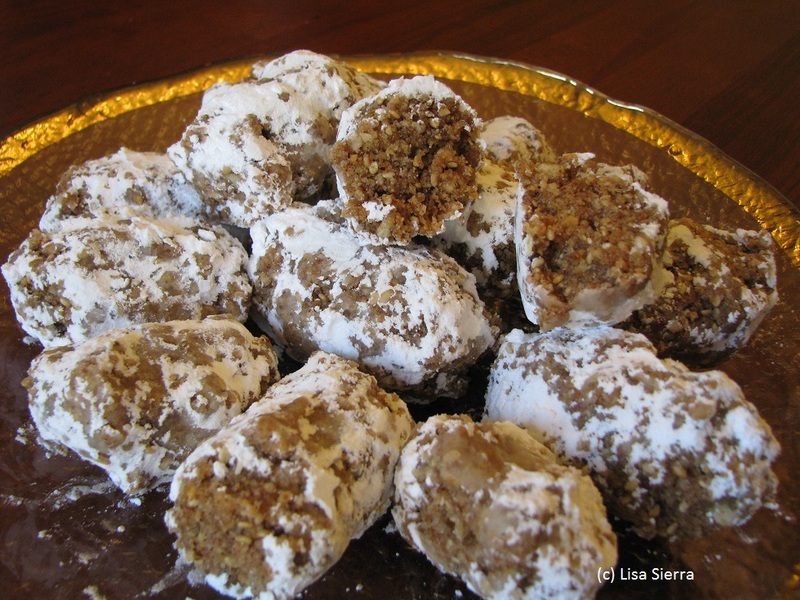 Not to be confused with the Argentine sandwich cookie called alfajor, this traditional sweet is from Cadiz, Spain, in the region of Andalucia. What is it made of? 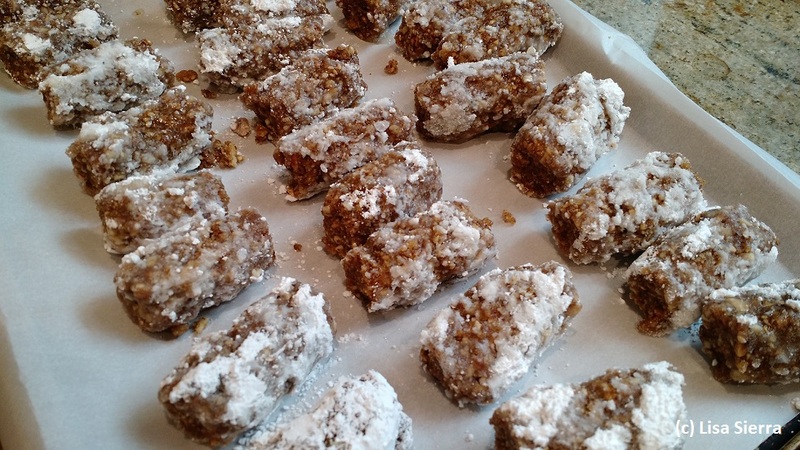 Almonds, hazelnuts, sesame and anise seeds, as well as bread crumbs and spices. These ingredients are ground together, then mixed with syrup and honey, and shaped into small cylinders. Alfajores are typically eaten during the Christmas season, they are sold year round in Medina Sidonia, the town in which they originated. First, make a simple syrup. Pour water and sugar into a small saucepan. Heat on medium high heat. Stir in sugar until completely dissolved. Bring to a boil, then reduce to a slow bowl. Cook until mixture is thickened to a syrup. Remove from heat and set aside. While the syrup is boiling, toast almonds and hazelnuts under the broiler on both sides. Process the nuts, anise, sesame and cilantro seeds in a food processor until finely ground. Place in a large mixing bowl and mix. Add cinnamon and clove to the ingredients in mixing bowl and mix with a wooden spoon. Pour warm syrup and honey into dry ingredients and mix thoroughly. 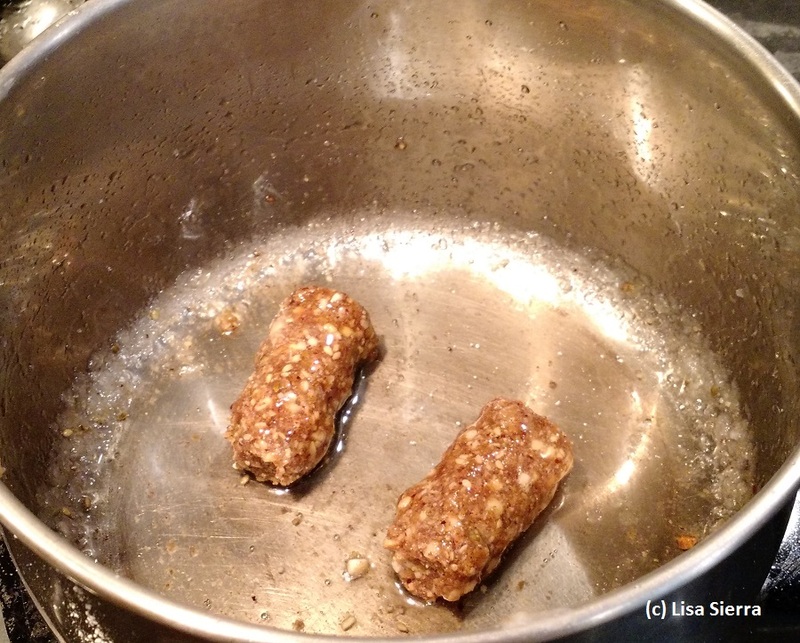 While mixture is still warm, form into little “logs” with your hands. Mixture will be sticky and can be difficult to work with. So, press hard to form the “logs.” Place on waxed paper or parchment to cool. Make a simple syrup in saucepan for the coating. Once thickened, remove from heat and cool for 5-10 minutes. Roll each alfajor in syrup. 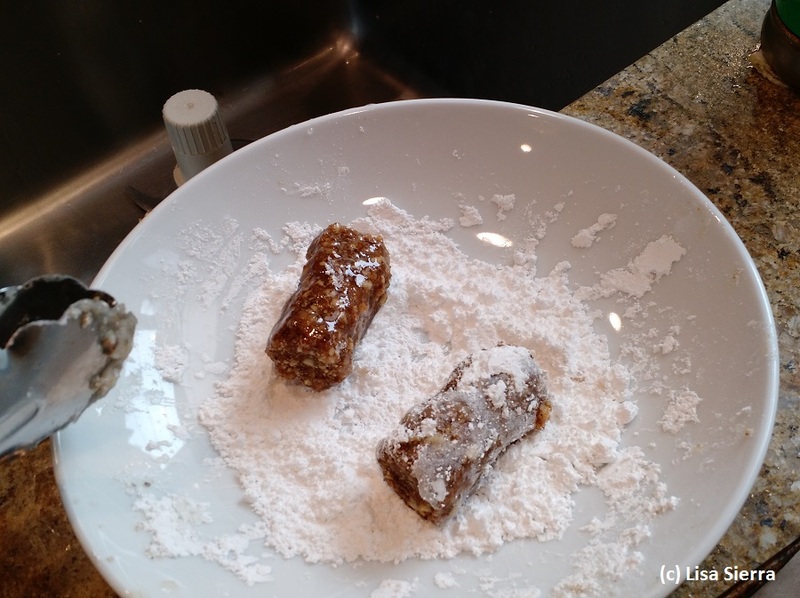 After rolling in syrup, roll in the powdered sugar. Cool on waxed paper. Store in a sealed container at room temperature.